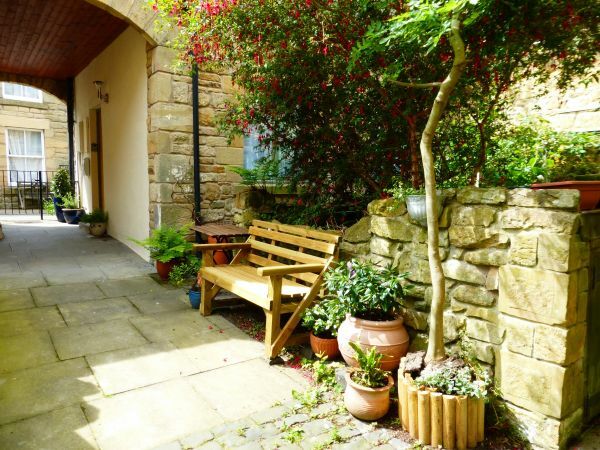 Dodds Nook is a cosy stone cottage located in the very heart of Alnwick, tucked away on one of Alnwick's ancient narrow lanes, and just a 2-minute stroll from the cobbled medieval market place. 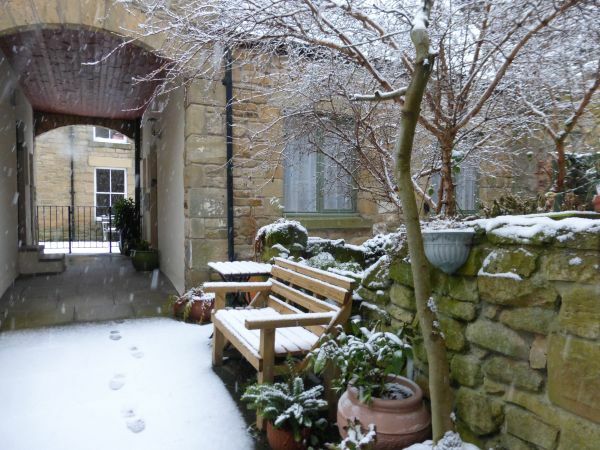 SLEEPS 2/3 - AVAILABILITY & BOOKINGS: phone NORTHUMBRIAN COTTAGES 01665 606066 website www.northumbrian-cottages.info type 'Dodds Nook' in the 'Cottage Lookup' section on the first page. 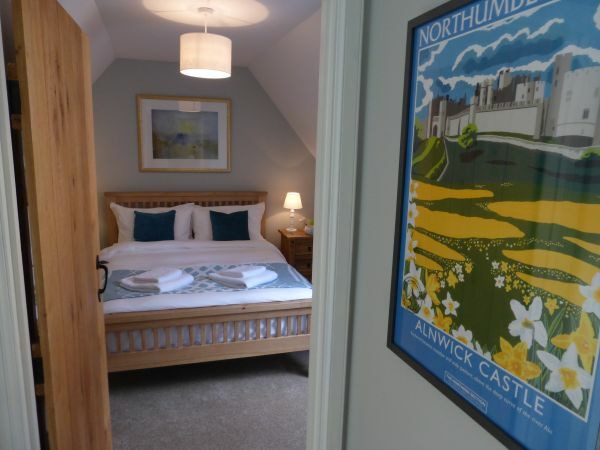 Dodds Nook is perfectly situated for summer, winter and festive breaks, providing an ideal base in central Northumberland for exploring its castles, hills and stunning beaches. 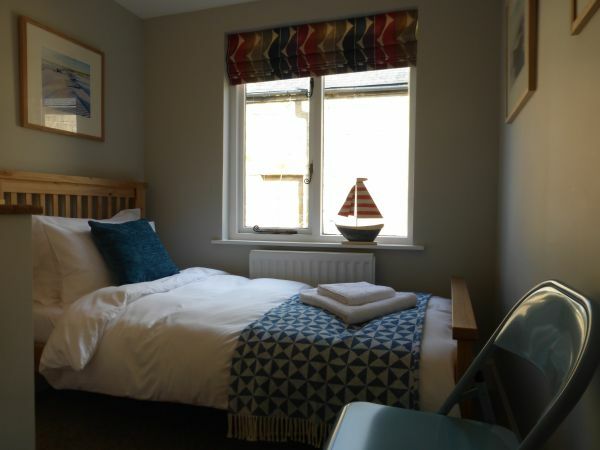 On your return from enjoying the dramatic scenery, there are tea rooms, restaurants, pubs and charming independent shops, all within easy walking distance of the cottage. The famous ALNWICK CASTLE (the setting for Hogwarts in the Harry Potter film) and the ALNWICK GARDENS with the magical TREEHOUSE RESTAURANT, are just a 5-minute walk away. 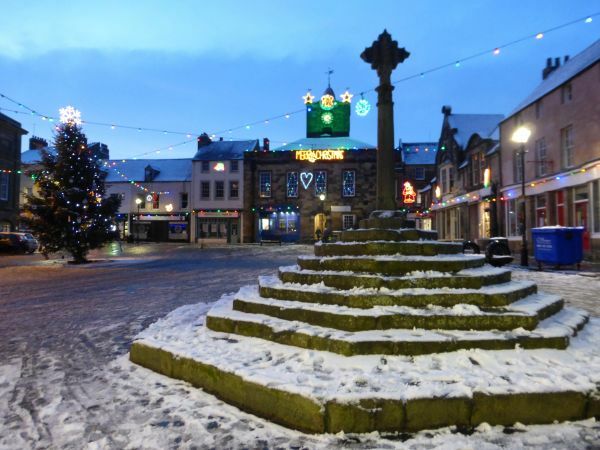 Nearby there is also BARTER BOOKS, a renowned second-hand bookshop housed within an ornate Victorian railway station, and the ALNWICK PLAYHOUSE that features touring productions, live music and popular films. 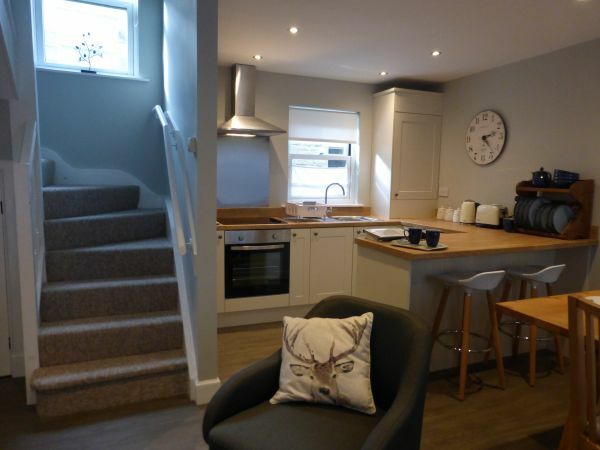 Built on the site of an old blacksmith’s forge, Dodds Nook has been recently upgraded to reflect the historic charm of the local area. Ample permit parking areas are located in close proximity to the cottage. The entrance is approached through an archway and leads into an open-plan lounge and dining area, overlooking an attractive courtyard garden. 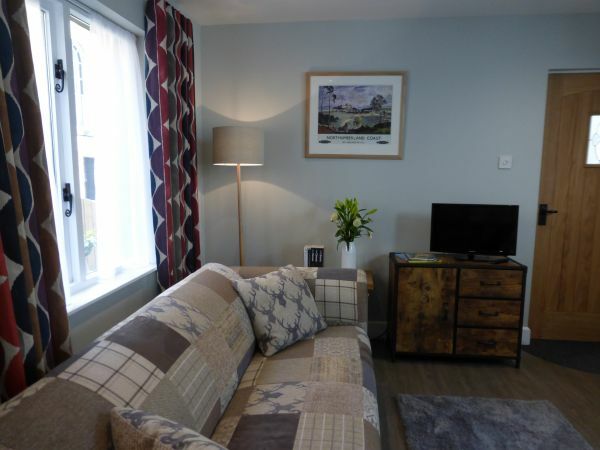 the cosy living space is equipped with Freeview TV, Wi-Fi, and a selection of Northumbrian-themed novels, games and local guides. 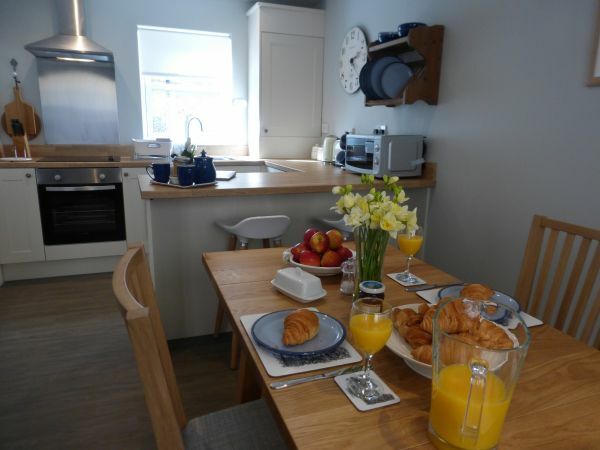 The kitchen has a breakfast bar and is equipped with an electric hob and oven, microwave and fridge-freezer. Stairs lead to an attractive main bedroom with king-size bed and built-in wardrobe. 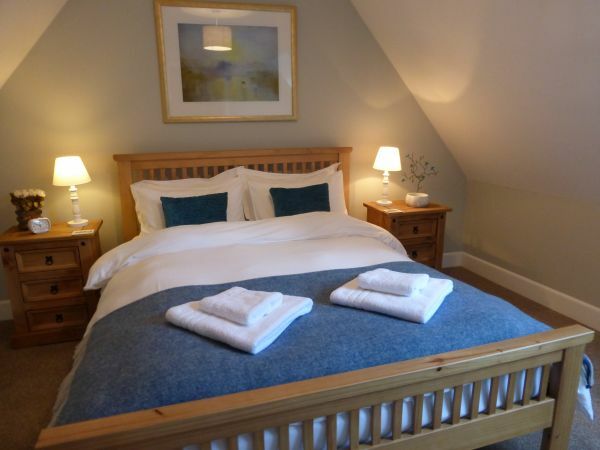 There is also a delightful smaller bedroom with a single bed and matching drawers. 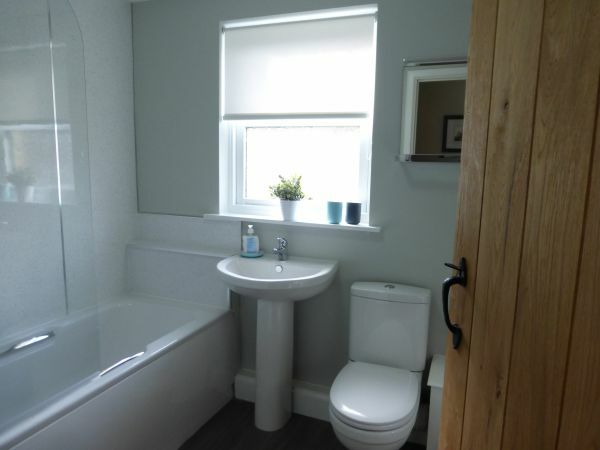 The well-appointed bathroom includes a shower over bath and a heated towel rail. Bed linen and towels are provided. Changeovers are on Fridays, (short breaks are available in the winter months). Arrival is any time from 3pm, the departure time is 10am. Sorry, no smoking, no pets. 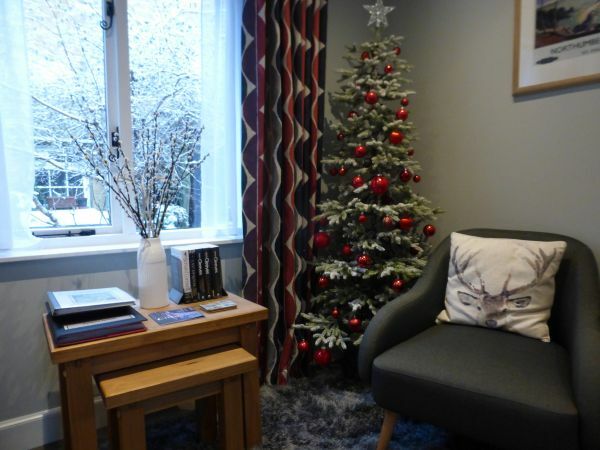 Dodds Nook is managed and maintained by Northumbrian Cottages, and their office is handily located just around the corner from Dodds Nook, on 43 Bondgate Within, NE66 1SX, PHONE: 01665 606066 - bookings can be made by phoning this number. 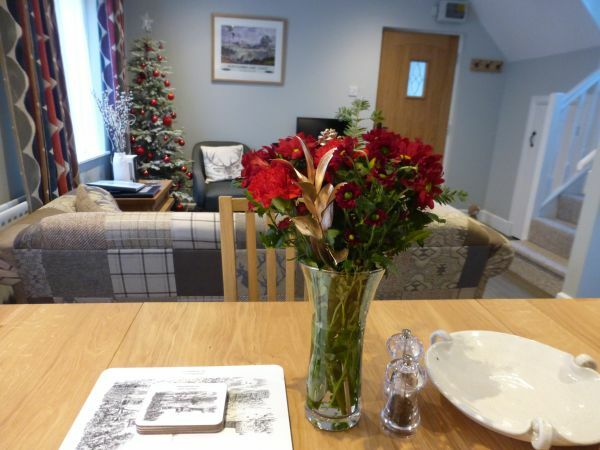 For AVAILABILITY, PRICES and BOOKING you can also visit the Northumbrian Cottages website: www.northumbrian-cottages.info type 'Dodds Nook' in the 'Cottage Lookup' section on the first page. Dodds Nook is situated on the pedestrian Upper Dodds Lane which can be accessed from the cobbled Market Street in the centre of town, or from Green Batt. 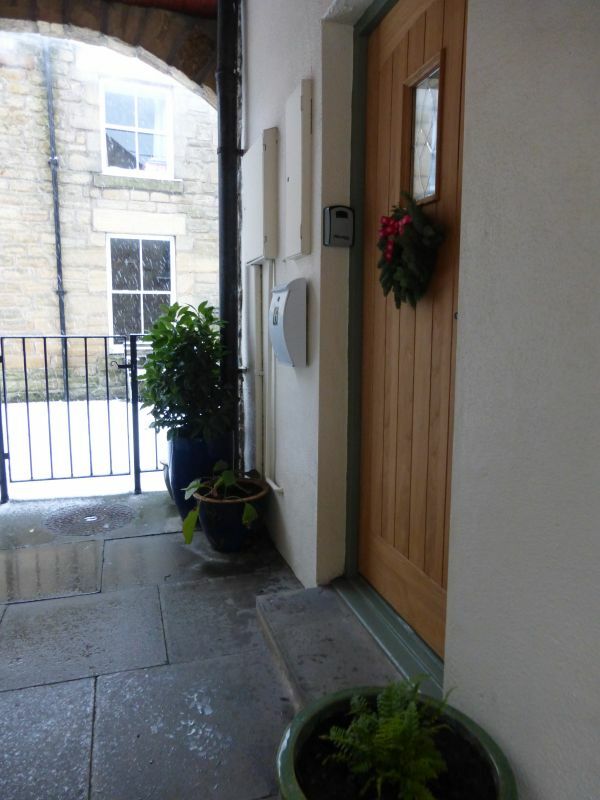 Parking is available on the adjacent St Michael's Lane and access to Dodds Nook can be gained through a gateway which is fitted with large wooden doors, painted dark green. There is a key safe to the left of the cottage's doorway. 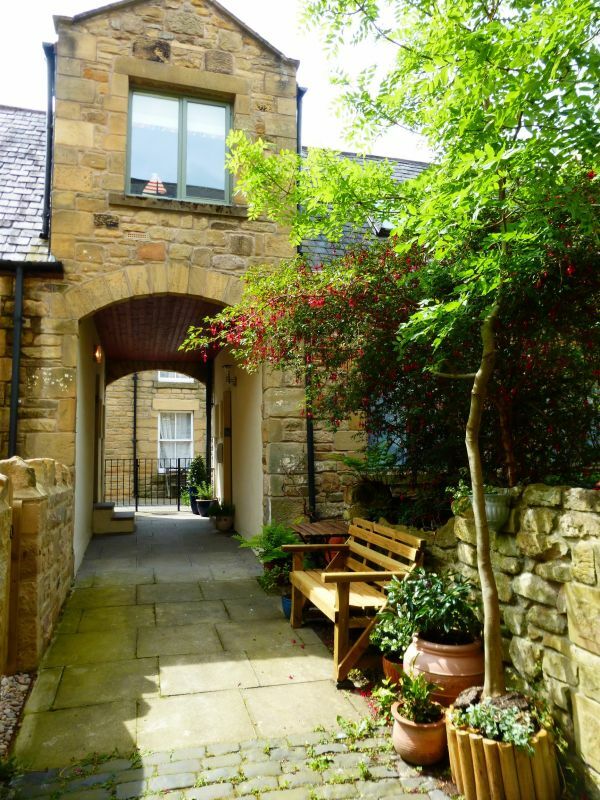 Travelling north or south on the A1, turn off for Alnwick and head towards the town centre, passing Barter Books (a converted Victorian railway station) on your left. When you reach the ancient Hotspur Tower turn up left onto Green Batt, instead of passing through the tower's archway. Follow the road round and turn right onto St Michael's Lane where you can park in any of the parking spaces provided. A parking permit is provided in Dodds Nook upon arrival. Newcastle Airport and Edinburgh airport are the closest airports to Alnwick. Alnmouth Train Station is just a 10 minute drive from Alnwick. Many taxis operate from the station. Bus services travel from the train station to Alnwick Bus Station. Alnwick Bus Station is a 3 minute walk from Dodds Nook. From the bus station cross the road on Market Street. When you reach the Farmhouse Bakery you will see the small entrance to Dodds Lane and Upper Dodds Lane, just to the right of the bakery. Buses serve the coast (including Craster, Bamburgh and Alnmouth) travelling as far north as Berwick-upon-Tweed, and south as far as Newcastle.